ROBERT TOWNSON	 Chair of Governors I am returning back to my roots at All Saints. In 1947 I started school at All Saints Infant School in Winstanley Road, then moved onto All Saints School in Castle Street. I moved onto Westfield Boys School where I became Chair of Governors as I was serving as a County Councillor. 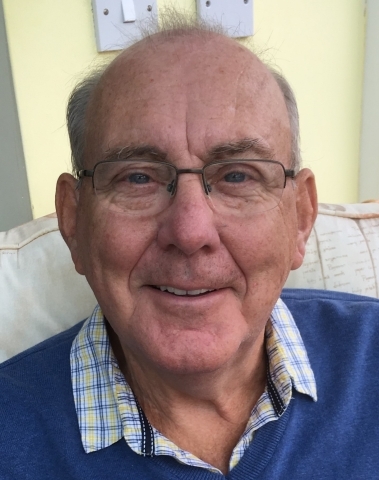 I worked as a metallurgist at Morris Motors later British Leyland on closure moved onto the automotive industry where I worked as a Production Manager, Quality Manager and Project Manager. I have taken a Diploma in Management Studies, so can use my expertise from business into my position as School Governor. My voluntary work has been as follows: The Scout Movement still a member with 53 years service. Borough Councillor 7 years. County Councillor 4 years. Magistrate on Wellingborough Bench 25 years. Church Warden at All Saints Church in 2017. School Governor 15 years on the following schools: Westfield Boys School. Victoria Infant & Junior Schools when in Stanley Road. Avenue Infant School. Park Junior School. Cranford Church of England School became Chair of Governors for 12 months and received outstanding with Ofsted in 2016. Now with All Saints where I hope to be able to pass on my experience. Nominated as a Race to the Top Governor by Count Education Department in 2014 to assist schools under concern. 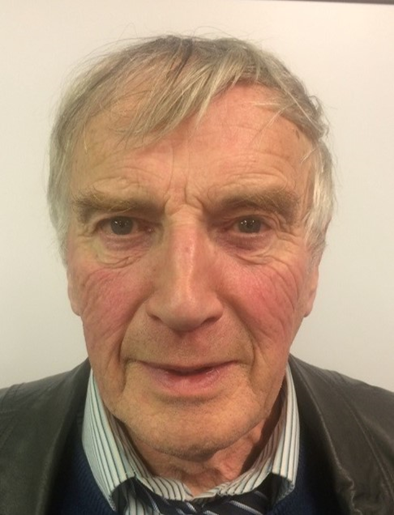 WALTER TOWNSEND	 Vice-chair of Governors	 I'm a foundation Governor and joined the Board in Spring 2016. I have attended All Saints Church since Easter 2003 and my daughter started school in September 2015. I have lived in Wellingborough since 2000 after relocating from Northampton to start work at Siemens. I currently work for Snap-on Tools in IT and software. I am a member of the Chartered Management Institute and also a qualified broadcast journalist. My academic interests include literacy, IT and modern foreign languages. My main aim on joining the board is to become a critical friend to the school by assisting the leadership team to achieve the targets it sets itself. PAT THOMAS	 Foundation Governor I have been a Foundation Governor since 2011 and a member of All Saints Church since 1980. I am a Lay Pastoral Minister and a Sunday school leader at All Saints Church. My children are now grown up and I enjoy spending time with my grandchildren. I work full time at Booker cash and carry Headquarters in Wellingborough. I believe that all children should be encouraged to value themselves and others. I fully uphold and support the ethos of our school, its beliefs and values. DERYN MCINTOSH	 Foundation Governor I joined the Governing Body as a Foundation Governor in Summer 2016. I have lived in Wollaston for 11 years and until recently ran a small business delivering outsourced Human Resources services to clients across the UK. In August 2016 I joined RCI Kettering as HR Director Europe and Middle East. I have significant experience leading organisational change, managing employee relations, recruitment and rewards. I am a chartered member of the Chartered Institute of Personnel & Development. My daughter is transitioning to KS1 at a local primary school, and I perceive quality learning opportunities to be of critical importance in the enablement of best performance from each unique child. Having had a strong Christian upbringing, I uphold the values and ethos in my own family and I pledge to do the same for All Saints School by helping to preserve and develop its religious character. 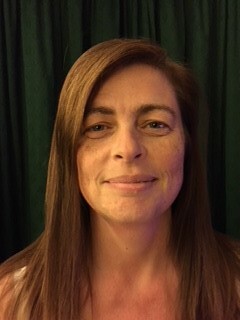 CLAIRE LE MAISTRE	 Parent Governor	 I joined the governing body as a parent governor in Autumn 2017. I was baptised and confirmed at All Saints Church and have been part of the church community since childhood, including being a Brownie leader and running mums and tots (messy/sensory play sessions). My siblings and I attended All Saints school and I am now a mum to 3 children, the youngest started school in September 2017. I was previously a staff nurse, specialising in care of the older person and protection of vulnerable adults. More recently I gained my NVQ 3 in childcare an now currently work part-time in a patchwork shop. I'm a committee member of two local charities, 'High Five' - supporting parents of children with high functioning autism and SHINE group, Northamptonshires deaf children's society, I would like to support the school to provide children with a range of experiences to enrich and develop their education and promote lifelong skills. KATHERINE PEEL	 Parent Governor	 I am a Parent Governor at All Saints and was appointed in the Autumn term 2017. I have two children at the school and live within the All Saints catchment area. I am local to the area and have lived within the borough for over 30 years. 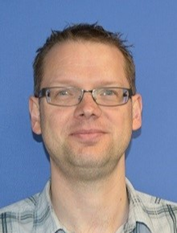 As well as my interest as a parent, I also bring to the governing body 16 years of educational experience working as a teacher in Wellingborough, Kettering and in East Northants. I look forward in taking this opportunity as a Parent Governor to be a part of the school journey and hope to make a valuable input into the Governing body. 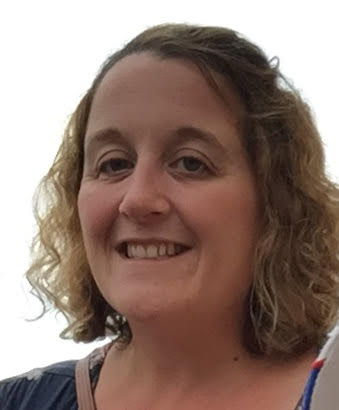 MELANIE WARD	 Foundation Governor	 I am a Foundation Governor and I joined the board in Autumn 2017. I have always lived in Wellingborough and have been involved with All Saints and All Hallows church since I attended youth club there in my teens. I have one son who started reception at All Saints in September 2017. I work part-time providing a range of accountancy services to businesses in different sectors. I am a member of Association of Accounting Technicians and I am sure that my work ethic as well as my financial knowledge is something I can bring to the board of governors. SAMANTHA BARBER	 Foundation Governor	 I joined the Governing Body as a Foundation Governor in Autumn 2017. As a family we have been attending All Saints Church for over a year and my husband helps to run the thriving Sunday School. Our daughter started in Reception at All Saints in September 2017. I work as a Health Visitor in Wellingborough and am passionate about early years, school readiness and the transition to school. I am experienced in safeguarding children and strongly believe that every child deserves the best start in life. I am keen to support the school in upholding the vision to promote successful learners, confident individuals and responsible citizens. 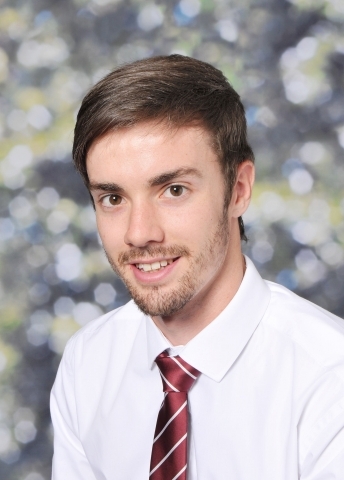 MARTIN HUNTER	 Staff Governor	 My name is Martin Hunter and I am a Staff Governor at ALL Saints, I have been a member at All Saints school since 2015 working in both Key Stage 1 and 2. I was elected by the staff onto the board in March 2018. Through working in schools in Northamptonshire I have gained a range of experience and will be able to use these as we plan strategically for the future of the All Saints CEVA Primary School & Nursery community. 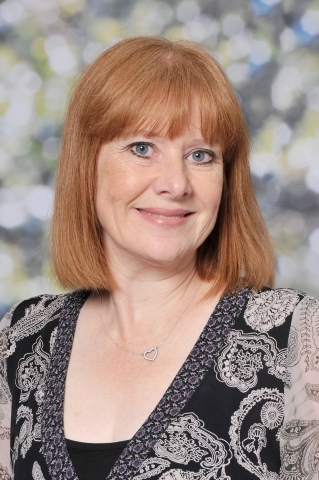 EMMA JOHNSON	 Head Teacher	 I am the Head Teacher at All Saints Primary and a member of the Governing Body. 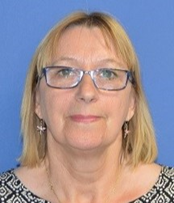 I have been involved in Education for 27 years, working across a range of schools within Northamptonshire and more recently as the Head Teacher at Bozeat Primary School. I am passionate about education and ensuring that we provide children with a range of experiences which enhances their learning. STUART LAKE	 Local Authority Governor	 I was born in Sutton, Surrey 1942, then the family moved to Northamptonshire during the war in 1943. Attended Victoria infants and Junior Schools up to 11 plus and was in the first year of what was to become Weavers Technical Grammar school. Family moved to Rushden when I was 10 where I attended St Peters Church where I found my love for music as a chorister. Joined Morris Motors as a wood patternmaker. In 1970 became a salesman selling calculator machines, much larger than today's models. Joined Weetabix Ltd in 1972 in Sales and Marketing ending my working in 1999 as General of B.L. Marketing Ltd, the mail order subsidiary of Weetabix Ltd. I have always been involved in sport namely football, tennis, table tennis before taking up Lawn Bowls. I have held most senior offices at Club, County and National level becoming President of Bowls England in 2012. Since 2015 I have been a Governor representing Wellingborough at Kettering General Hospital becoming Lead in 2016. Married in 1965 with one daughter I have lived in Cedar Way since marriage.